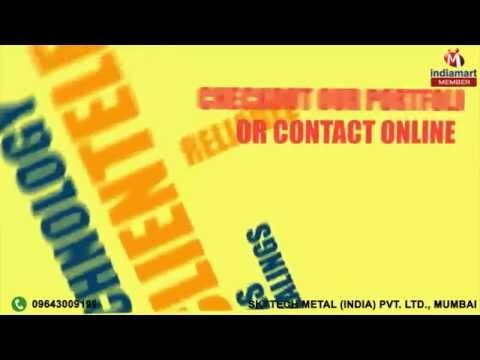 Welcome to Skytech Metal (india) Pvt. Ltd., established in the year 2005, we are counted among the well-known entities, engaged in manufacturing, supplying and exporting a commendable assortment of Stainless Steel & Metal Products. Under this range, we are providing our clients with Stainless Steel Railing Flat Bar, Stainless Steel Bright Finish Flat Bar and S S Round Bars. Our entire range is designed and developed using best-in-class stainless steel and metals that are sourced from authentic vendors of the industry. Also, customization facility is provided to suit the demands of clients. We have been able to meet the organizational targets in prominent manner. Our team is well-versed in this domain and responsible enough to cater to the exact demands of customers in prominent manner. By knitting a vast distribution network, we have been able to dispatch our range of stainless steel products in stipulated time-period. We are exporting our product globally.